Features. Round Vinyl.. Color - White.. 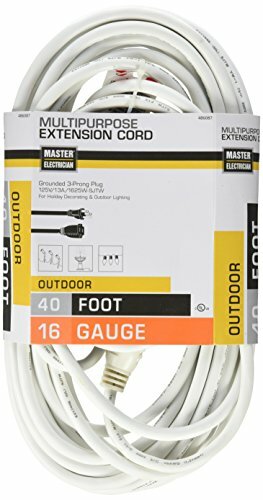 Outdoor.. Extension Cord.. 13A.. Voltage - 125V.. UL Listed.. Size - 40 ft.. Dimension - 2.5 x 6 x 9 in.. Item Weight - 2.86 lbs.